Just like any safety issue, it’s wise to talk with your kids about your concerns, take advantage of resources to protect them, and keep a close eye on their activities. If you’re a parent, you can help your kids use the Internet safely by teaching some basic rules. Here are some basic lessons that parents can help their kids learn. Child-Friendly Sites – Above plus allows a list of websites designed for children has a listing of the more popular kid sites and allows the user to search the entire list of kid sites. General Interest – Blocks social networking, web mail, web chat, and adult sites. Activity Reporting – Parents can obtain a list of the websites visited. 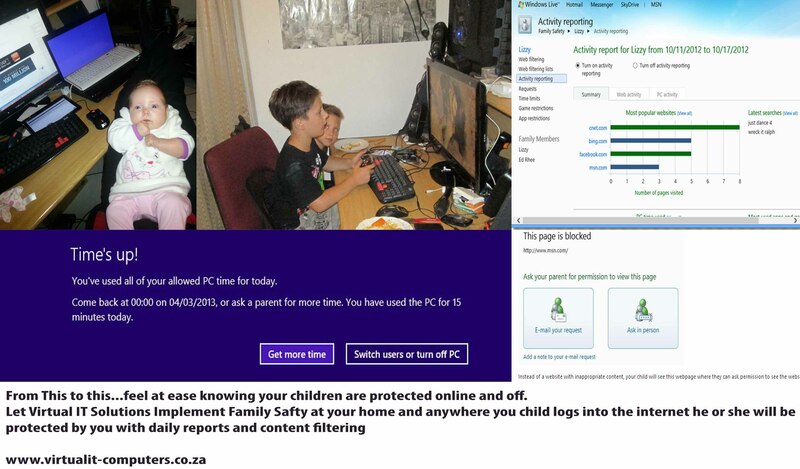 In addition, computer usages time, programs run, files downloaded, and games run will be reported via Windows Parental Controls. Lock SafeSearch on for Google, Bing, Yahoo!, and other popular search engines. Contact Management – Parents are able to create “allow” lists for Windows Live Contacts services such as Windows Live Messenger and Hotmail to help prevent their children from communicating with unknown contacts and instead only communicate with contacts that parents have approved. Alternatively, parents can just monitor who the child has on their allow list. This was added for Windows Live Messenger 8.5. Image Filtering – Family Safety has a filter which looks for adult content in images. The filter is only run on websites which do not do an adequate job of filtering the images and only on computers with sufficient performance capabilities. When an image is blocked, Family Safety blurs it out. Implementing technology and software to create a safer Internet by deterring cyber crime and enabling law-enforcement activities while respecting legitimate privacy needs.